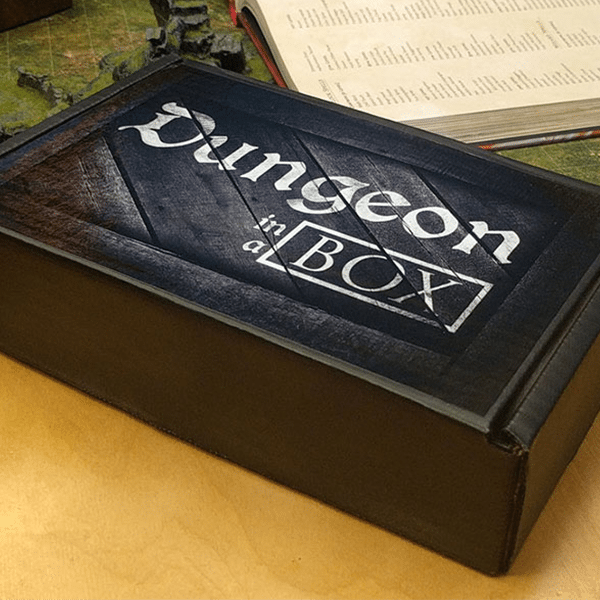 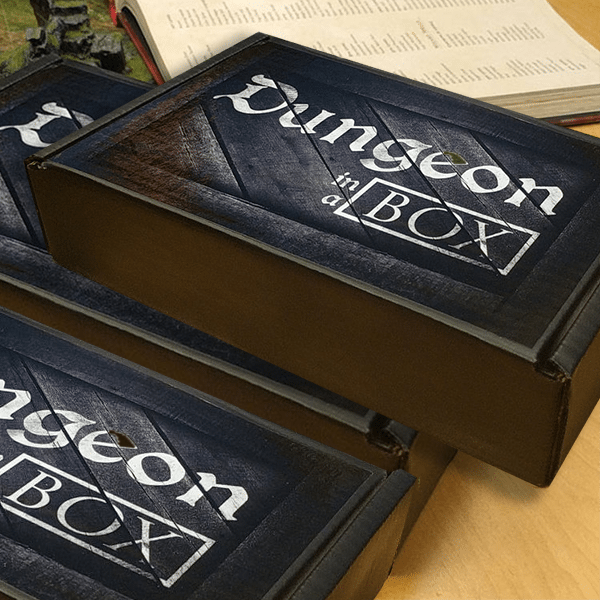 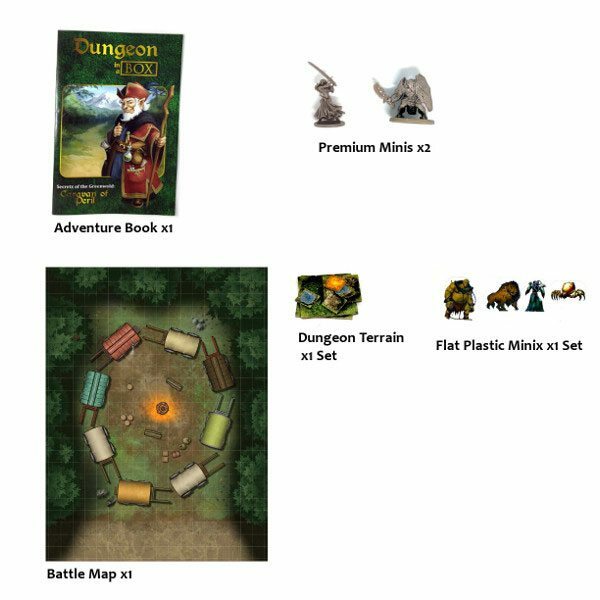 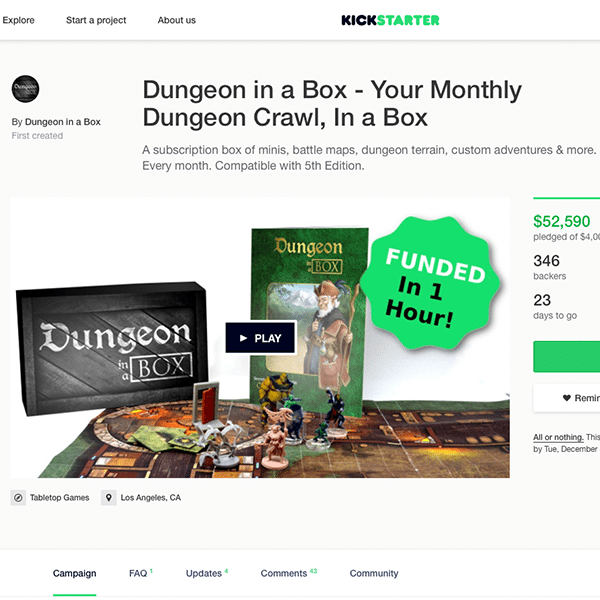 A one-month subscription to Dungeon In A Box. 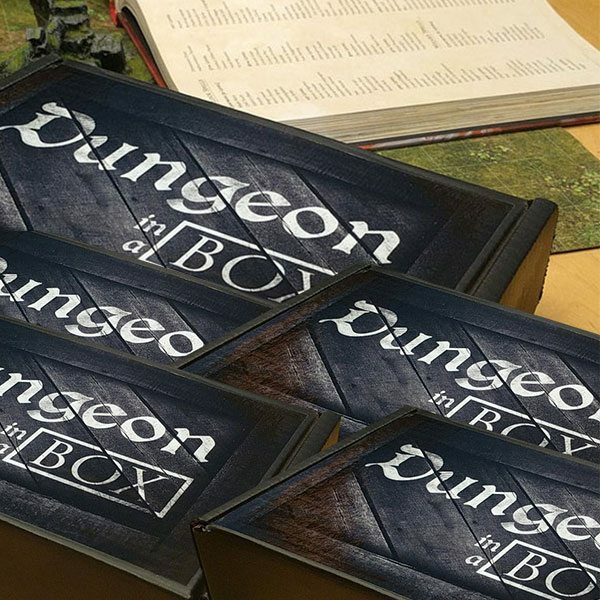 Receive part one of the campaign only. 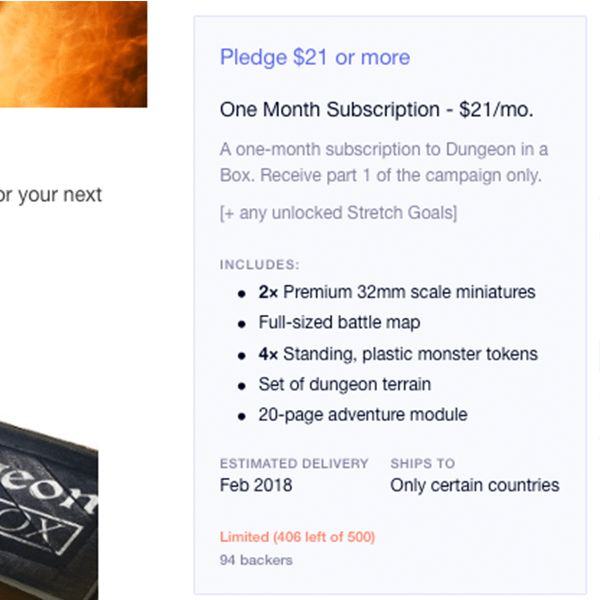 $33 per month. 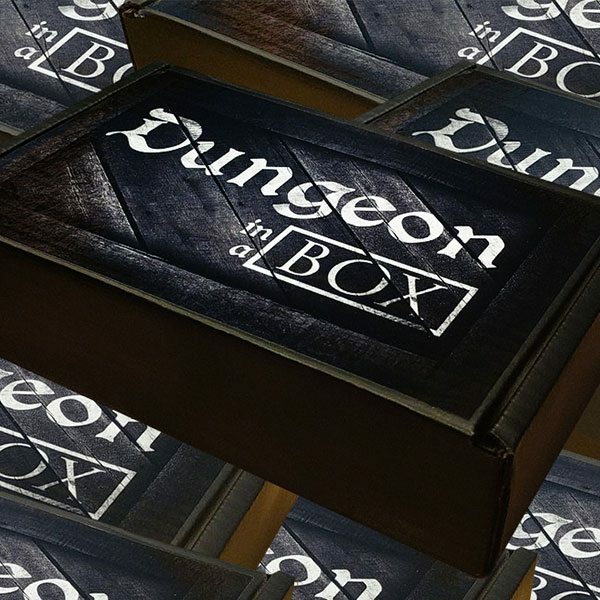 *INTERNATIONAL CUSTOMERS* – Additional customs or clearance taxes may be applied by your country before delivery.